All DAYBREAK VILLAGE homes currently listed for sale in South Jordan as of 04/21/2019 are shown below. You can change the search criteria at any time by pressing the 'Change Search' button below. 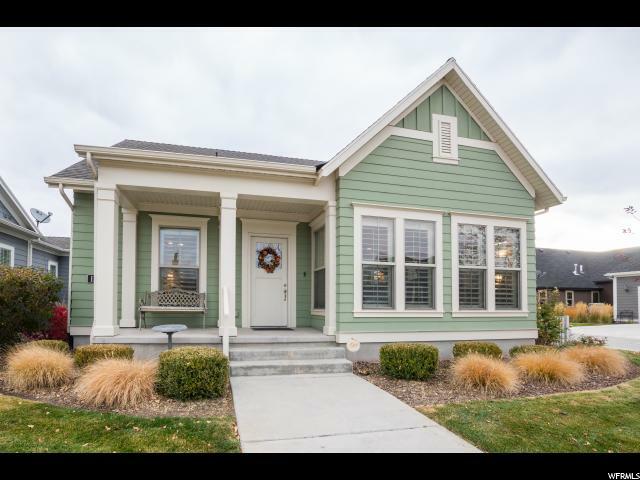 "Charming, well kept home near Oquirrh Lake, walking trails and the shops of Daybreak. This home features large living spaces, master en-suite, plantation shutters throughout, separate office and a side yard lawn/garden area with a covered patio. Plenty of storage throughout with master walk-in, large closets, storage room, cold storage, and ceiling shelves in garage. Open hallways, wide door frames, cement ramp from garage, grab bars, included chair lifts, master shower and laundry on the main make this home wheelchair accessible, if needed. Enjoy this beautiful home and 55+ community. *HOA allows 20% of community occupants to be non-55+ buyers."